In many Western democracies, ethnic and racial minorities have demanded, and sometimes achieved, greater recognition and accommodation of their identities. This is reflected in the adoption of multiculturalism policies for immigrant groups, the acceptance of territorial autonomy and language rights for national minorities, and the recognition of land claims and self-government rights for indigenous peoples. These claims for recognition have been controversial, inpart because of fears that they make it more difficult to sustain a robust welfare state by eroding the interpersonal trust, social solidarity and political coalitions that sustain redistribution. Are these fears of a conflict between a "politics of recognition" and a "politics of redistribution" valid?This volume is the first systematic attempt to empirically test this question, using both cross-national statistical analyses of the relationships among diversity policies, public attitudes and the welfare state, and case studies of the recognition/ redistribution linkage in the political coalitions in particular countries, including the United States, Britain, Canada, Netherlands, Germany, and in Latin America. These studies suggest that that there is no general or inherent tendency forrecognition to undermine redistribution, and that the relationship between these two forms of politics can be supportive as well as competitive, depending on the context. These findings shed important light, not only on the nature and effects of multiculturalism, but also on wider debates about the socialand political foundations of the welfare state, and indeed about our most basic concepts of citizenship and national identity. 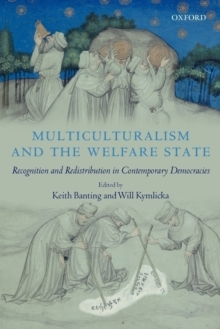 As a ground-breaking attempt to connect the literatures on multiculturalism and the welfare state, this volume will be of great interest to a wide range of scholars and practitioners who work on issues of ethnocultural diversity and social policy.